Supro InfoTech has been providing SharePoint consulting services for more than 3 years to let our customers benefit from SharePoint solutions that facilitate collaboration, increase employee engagement and automate business processes. Our certified SharePoint consultants can guide you through the proper implementation of SharePoint utilizing time tested best practices to deliver a solution that meets your specific business needs. From small companies to global enterprises, Supro InfoTech has the knowledge and experience to implement SharePoint the right way and ensure that it continues to provide useful features, productivity, and cost benefits well into the future and throughout the growth of the organization. Supro InfoTech is an authorized partner of Microsoft who offers services on Microsoft SharePoint solution and Microsoft SharePoint development for the business organizations. We consider our human resource to be the most valuable one. We are in a constant effort to ensure that our developers are trained in the latest technology so that they can meet the demands of our clients. We send our representatives to various conferences and training programs on Microsoft SharePoint which are being organized in different parts of the country. This constant effort for development and up gradation has resulted in a formidable force which represents Supro InfoTech in the corporate sector. We take a lot of pride in our efficiency and the hard work we put in to meet the expectations of our clients. 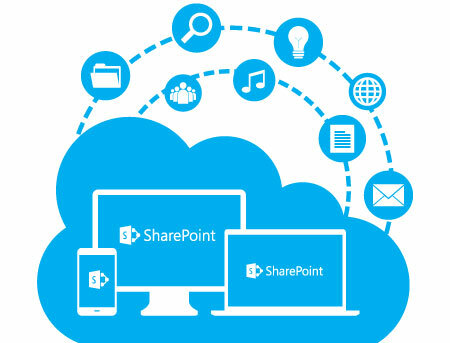 There are numerous companies in USA who are offering their services on SharePoint. So, why us? Well, here are some of the reasons which would convince you as to why Supro InfoTech is the best option for you when it comes to SharePoint solution. We offer a comprehensive service on SharePoint, which includes development, consulting and testing. Looking for One Stop SharePoint Consultant?